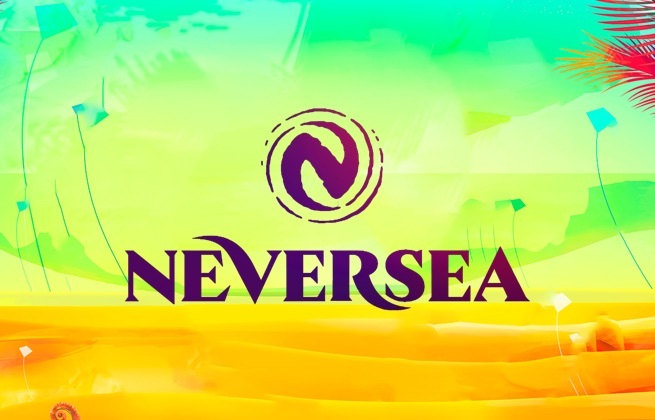 This ticket allows general access to the Neversea Festival 2019 for all four festival days from 4th July - 7 July. This ticket allows general access to the Neversea Festival 2019 on Thursday only, 4th July. The daily ticket, once bought, it cannot be switched with another daily ticket, after the daily line-up will be announced. This ticket allows general access to the Neversea Festival 2019 on Friday only, 5th July. The daily ticket, once bought, it cannot be switched with another daily ticket, after the daily line-up will be announced. This ticket allows general access to the Neversea Festival 2019 on Saturday only, 6th July. The daily ticket, once bought, it cannot be switched with another daily ticket, after the daily line-up will be announced. This ticket allows general access to the Neversea Festival 2019 on Sunday only, 7th July. The daily ticket, once bought, it cannot be switched with another daily ticket, after the daily line-up will be announced. This ticket allows VIP access to the Neversea Festival 2019 for all four festival days from 4th July - 7 July. VIP 18+ benefits: - Dedicated VIP check-in lanes and access gates for minimum waiting time - Elevated platform access, specially designed for great visibility of the main stage - Dedicated bars with premium beverage - Dedicated restrooms Please note: Only people 18 and over can access the VIP area! This ticket allows VIP access to the Neversea Festival 2019 on Thursday only, 4th July. VIP 18+ benefits: - Minimum waiting time for access and special check-in areas - Elevated platform access, specially designed for great visibility of the main stage - Premium Bar Menu & Bottle Service - Tapas & Finger Food Menu - Seating & Standing Area - The option for booking a table - Flush Toilets - Credit points for recharging your NEVERSEA wristband - 24h concierge service exclusively for VIP subscribers - Special activations from partners - The chance to meet & spend time with the artists performing at the festival The daily ticket, once bought, it cannot be switched with another daily ticket, after the daily line-up will be announced. This ticket allows VIP access to the Neversea Festival 2019 on Friday only, 5th July. VIP 18+ benefits: - Minimum waiting time for access and special check-in areas - Elevated platform access, specially designed for great visibility of the main stage - Premium Bar Menu & Bottle Service - Tapas & Finger Food Menu - Seating & Standing Area - The option for booking a table - Flush Toilets - Credit points for recharging your NEVERSEA wristband - 24h concierge service exclusively for VIP subscribers - Special activations from partners - The chance to meet & spend time with the artists performing at the festival The daily ticket, once bought, it cannot be switched with another daily ticket, after the daily line-up will be announced. This ticket allows VIP access to the Neversea Festival 2019 on Saturday only, 6th July. VIP 18+ benefits: - Minimum waiting time for access and special check-in areas - Elevated platform access, specially designed for great visibility of the main stage - Premium Bar Menu & Bottle Service - Tapas & Finger Food Menu - Seating & Standing Area - The option for booking a table - Flush Toilets - Credit points for recharging your NEVERSEA wristband - 24h concierge service exclusively for VIP subscribers - Special activations from partners - The chance to meet & spend time with the artists performing at the festival The daily ticket, once bought, it cannot be switched with another daily ticket, after the daily line-up will be announced. This ticket allows VIP access to the Neversea Festival 2019 on Sunday only, 7th July. VIP 18+ benefits: - Minimum waiting time for access and special check-in areas - Elevated platform access, specially designed for great visibility of the main stage - Premium Bar Menu & Bottle Service - Tapas & Finger Food Menu - Seating & Standing Area - The option for booking a table - Flush Toilets - Credit points for recharging your NEVERSEA wristband - 24h concierge service exclusively for VIP subscribers - Special activations from partners - The chance to meet & spend time with the artists performing at the festival The daily ticket, once bought, it cannot be switched with another daily ticket, after the daily line-up will be announced. This 3-star Caraiman Hotel is located in Constanta, just 100 meters from Siutghiol Lake and 200 meters from the Black Sea's sandy beach. On the shores of Lake Siutghiol, this informal seasonal hotel off a tree-lined street is a 5-minute walk from Kudos Beach along the Black Sea and 11 km from Constanța train station. It is 3 km from Aqua Magic Park Aqua Park and 7 km from the Dolphinarium. It offers air-conditioned rooms with a balcony, a traditional Romanian restaurant with a terrace and a 24-hour reception. This 3-star hotel offers practical rooms with a TV, minibar and private bathroom. Wi-Fi internet access is available free of charge in all public areas and rooms. The four-star Ramada Constanta is a 9-minute walk from the beach. 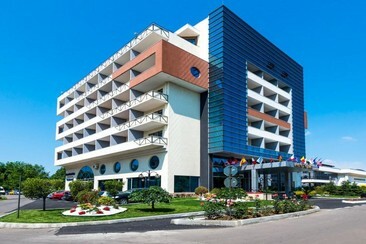 Situated in Mamaia, the Ramada Constanta hotel is 550 yards from The Exhibition Centre. The hotel features free Wi-Fi throughout the property. The units are air-conditioned and feature a flat-screen TV. Some also include a living room. Aqua Magic is 750 yards from Ramada Constanta. Free private parking is available on site. The hotel features a stylish and generous restaurant and two bars: Centrum in the lobby area on the ground floor and Atmosphere Sky Bar on the 8th floor. The Blanche Restaurant serves an international menu with Mediterranean influences. This property is 2 minutes walk from the beach. Hotel Del Mar & Conference Center is located at the entrance of Mamaia Resort, 150 m from the beach and within walking distance from Aqua Magic. It offers a swimming pool, a fitness room and a sauna. The spacious rooms and suites are air-conditioned and feature stylish furnishings. Each unit has a large balcony and a flat-screen cable TV, a minibar, and a bathroom fitted with a shower and a hairdryer. Free WiFi is available in the entire property and private parking is provided on site. Further facilities at the hotel include a lounge with billiards, an outdoor children’s playground and surcharge massage services. Hotel Del Mar & Conference Center is just a 15-minute drive from the historic center of Constanta and a 45-minute drive from the Mihail Kogalniceanu Airport. 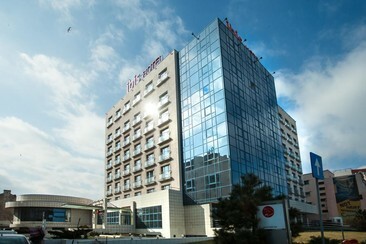 Hotel Ibis Constanta is located on Black Sea coastline, just across the sandy beach and 5 minutes away from Old Town. The hotel has a summer terrace which faces the Black Sea. Amenities include a relaxed Mediterranean restaurant, a 24-hour bar and a fitness centre. Ibis Constanta offers 154 modern rooms with free WiFi internet access, air conditioning, TV and desk. There're also 4 meeting rooms for conferences and other social events. Neversea Festival is an EDM, electronic, and pop music festival which takes place in the sun-soaked coastal city of Constanța, Romania. From the imaginations of the visionary Untold Festival team, Neversea is now in it's third year having built it's reputation for supreme lineups, and even more impressive stage production. Expect non-stop parties over a multitude of venues, each with their own extravagant visual designs, wowing festival-goers through to the early hours. Constanta, which is one of the largest beaches on the Romanian coast, measures more than 200,000 square meters.